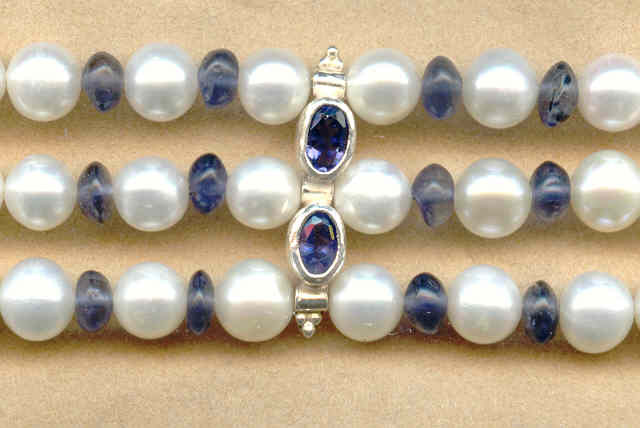 This hand beaded triple strand bracelet is made with 6mm round white freshwater pearls, mysterious iolite roundels, and beautiful faceted iolite and sterling silver stations. 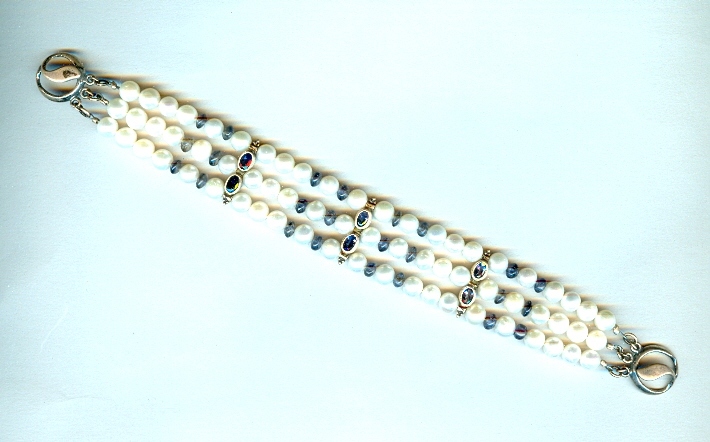 The bracelet is a tad longer than 7-1/2 inches, and closes with a sterling silver leaf hook clasp. Flexible, durable and lovely, it's just what you'd expect from SPARKLE PLENTY. In this artisan crafted gemstone necklace, the sterling silver drops are set with faceted oval peridot and iolite gems. Iolite, sterling silver and vintage rose Swarovski crystal bicone beads make an unusal combination in this hand beaded pendant necklace.